Quadrupole ion traps can be used to trap electrically charged particles. At CERN, the GBAR experiment at the antimatter factory uses this particle trap to store anti-hydrogen-ions. Below you can find building instruction for 3D-printable quadrupole ion trap capable of trapping electrically charged "macroscopic particles" such as cinnamon of lycopodium spores. 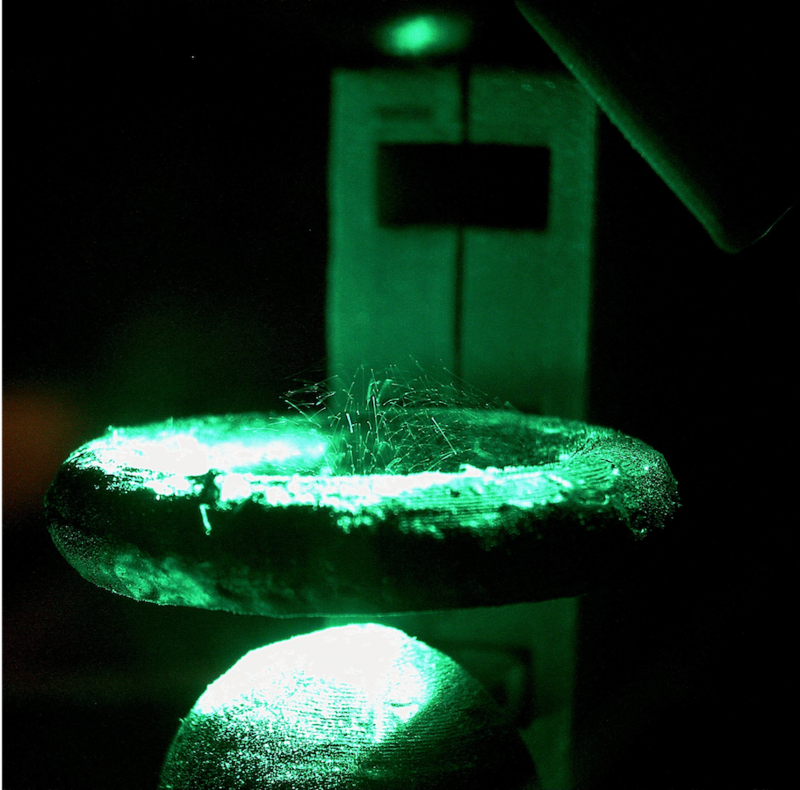 The quadrupole ion trap operates using a 3 kV 50Hz alternating current power supply and uses an astable multivibrator circuit to illuminate the spores, using the stroboscopic effect to exhibit their movement. In addition, we provide worksheets to help students discover the physics behind these traps.